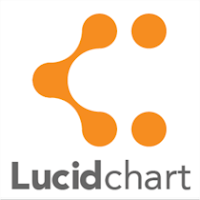 Session Description: Lucid Chart is a free, online program that can be used to create graphic organizers, mind maps, concept webs, Venn Diagrams, and such. You can also share your diagrams with others as view only, or as templates, or with edit rights for live collaboration. Lucid Chart even integrates with Google Apps so you can use a GAFE account and store diagrams in your Google Drive. In this session we will cover how to use the program and look at many practical educational uses for students in the classroom.